Mario Maker continues to grow more and more awesome. Nintendo has really learned how to continue to support games post launch as a service over the last few years- for someone who came so late to the games as a service party, they’re really at the forefront of it these days. Mario Kart and Smash Bros. had some exemplary post launch support, but it was with their Wii U exclusive third person shooter Splatoon that Nintendo really broke new ground in how a game can continue to be supported after its launch. And now, they’re bringing their excellent post launch support to Super Mario Maker too. A brand new update to Super Mario Maker allows users to access a web portal for the game, sign in with their Nintendo ID, and search for courses they may want to play using powerful search tools and filters, bookmarking them so they are ready for you to play on your Wii U later. If you happen to be using the web portal on the Wii U gamepad, you can actually launch right into the course you are viewing by hitting the “Play” option. There are also some other new features and additions to the game, including some new course creation tools- we’ll let the new videos that Nintendo put out explain all the additions to you, actually. 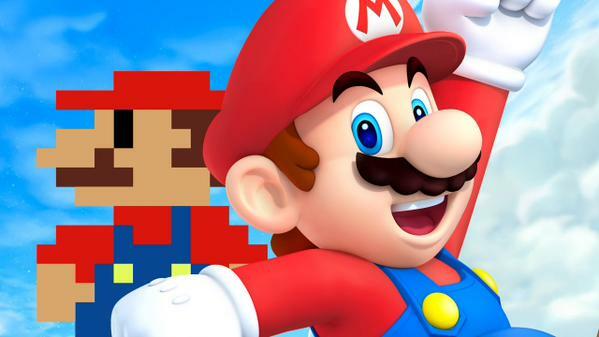 Super Mario Maker is available now, exclusively on the Wii U.